Medical service technicians have been using digital storage oscilloscopes (DSO) to service radiological equipment for many years. Monitoring the proper operation of this type of equipment is critical to ensure that the analog pulses that represent the firing of the x-ray tubes are occurring correctly. Digital storage in these devices are a required feature since many of the signals are fired one at a time by the operator. The technician uses the DSO to avoid over firing the equipment, thus minimizing the radiation effect on patient and operator. The analog signals from x-ray tubes are relatively slow, in the millisecond range. Historically the least expensive bench-top digital signal oscilloscope was able to capture the necessary data . Plus most users chose the minimum feature equipment due to very stringent medical test equipment budgets. Today the feature rich Keysight U1620A 200 MHz handheld DSO can deliver a significantly enhanced user experience to the medical staff without impacting their tight budgets. The U1620A is a battery powered handheld DSO. This now allows for safe and easy transportation from room to room or facility to facility. (Figure 1) Even though the typical work space has had the electrical power to accommodate a traditional bench-top DSO the units were never intended to be moved constantly around. Plus there has always been a problem to find a accessible and practical place to put them. Most hospital staff has tolerated the situation up until now mainly because handheld units have been higher in price and out of most departments’ budgets. Figure 1: The U1620A handheld DSO easily attaches to a mammography machine, without any need for an additional bench. Common to many handheld and bench-top DSOs have been their QVGA resolution, 320 x 240 pixels, LCD displays . This quality has been adequate, certainly within budget, but limits quick readability, reducing efficiency and accuracy. 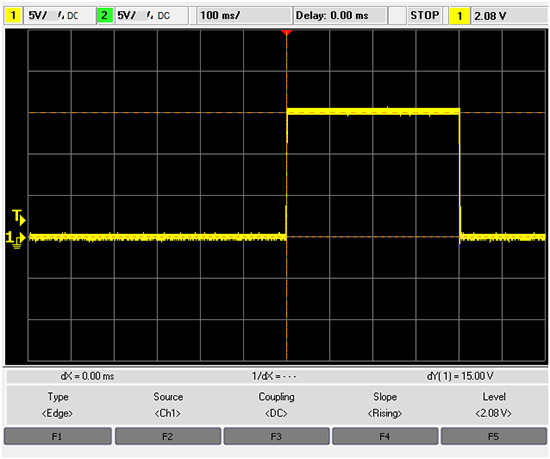 The Keysight U1620A’s outstanding VGA display has 4X the resolution at, 640 x 480. (Figure 2) With the 4X display pixel improvement the number of pixels now devoted to labels or instructions is reduced, resulting in fonts that can be smaller with finer resolution delivering much easier, quick readability. Figure 3: Utilizing the zoom capability of the U1620 the operator can expand a small section of signal (see top section small slice in black) to broaden the details visibly. Additional ease of operation features on the U1620A is its USB connectivity and the low pass input filter. 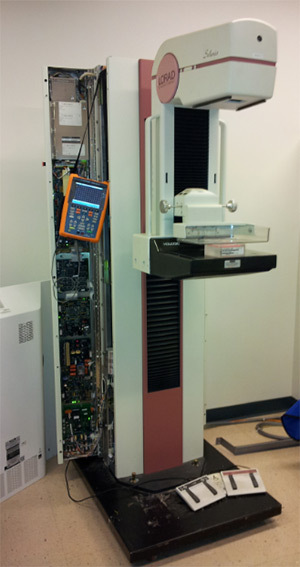 The U1620A can be operated from a PC using Scope Link software, a free download from Agilent. A standard USB cable is shipped with the instrument or a 150 ft option can be ordered. Using the USB connectivity with Scope Link the operator can control the U1620A from outside the room or behind a radiation shield. This is a very useful safeguard for the operator from radiation exposure. There are typical noise problems present from motor drives often used on many radiological equipment to position the patients for various procedures such as bone density or mammography scans. This noise can cause trigger problems that can detract from the actual x-ray signals that is critical for the operator to monitor. The U1620A includes a 30 KHz low pass filter that eliminates these errant problems. 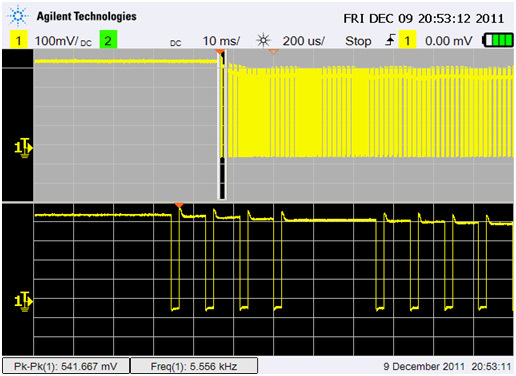 The Keysight U1620A handheld digital storage oscilloscope ( Figure 4 ) brings many new improvements to the medical equipment service market, without the corresponding price barriers. Users will find the U1620A features extremely useful in delivering productivity improvements to their daily work challenges, plus enhancing the quality of the information necessary to ensure operator and patient safety. The Keysight U1600 series can be found at www.keysight.com/find/U1600. 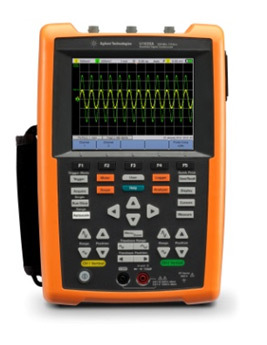 Figure 4: The Keysight U1620A Handheld Digital Storage Oscilloscope an ideal solution for monitoring and servicing radiological equipment.